A sudden gear shift from what I'vbe been doing lately, to be sure! ^_^; So it turns out there is an RPG where there are no guns or swords of evil bad guys, just endless miles of Ghibli Hills and cute magical shapechanging animals trying to help each other and the townsfolk all be better friends. 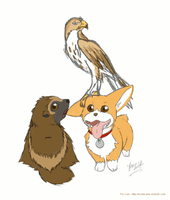 It's pretty much the cutest thing ever, and you should look into it it want a super kid-friendly roleplaying system. Anyway, out game is in Colorado because that's the GM's personal Ghibli Hills, so we have a somewhat different group to the tanuki and foxes and bunnies teh game expects. 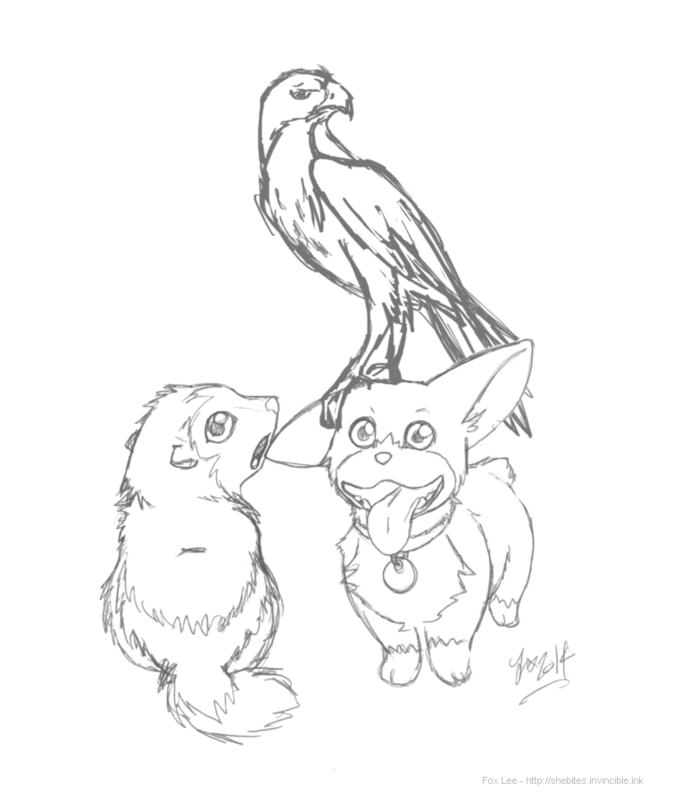 Here is our current "party", such as it is, in animal form: Gulo the fat little wolverine, Ford the happy corgi, and Doran the dadhawk.